Shoppers who use your site search are must win shoppers. Searchers have a 2.7x greater conversion rate than non-searchers*. So choosing the right site search provider is critical. Otherwise you could be leaking big revenues. 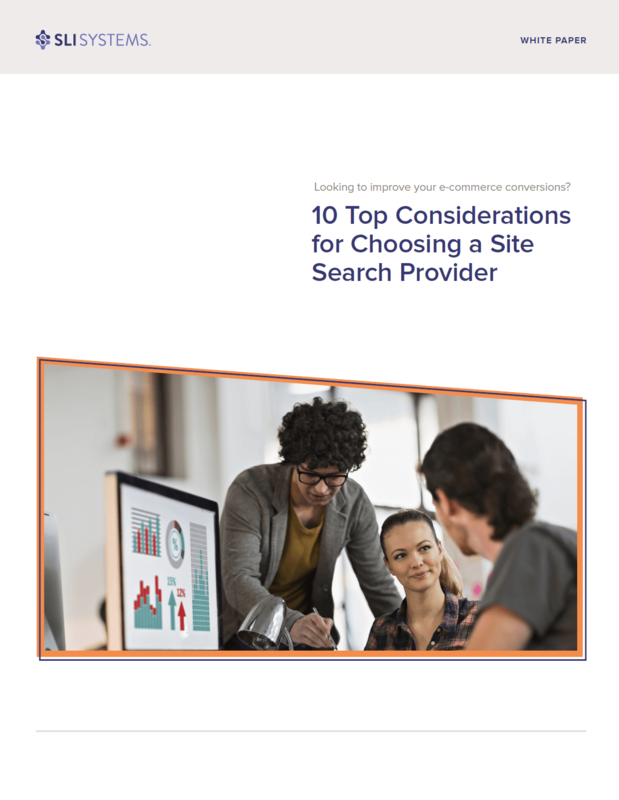 Download 10 Top Considerations For Choosing A Site Search Provider to help you pick the right partner for your e-commerce site.